A lyricist and author best known for his Academy Award-winning song “Over the Rainbow,” Yip Harburg began songwriting after his electric appliance business failed at the start of the Great Depression. His first hit song was “Brother, Can You Spare a Dime,” written with composer Jay Gorney in 1932. Harburg continued to write lyrics for Hollywood musicals, producing such popular songs as “It’s Only a Paper Moon,” “April in Paris,” and “Suddenly.” He was teamed with composer Harold Arlen for the 1939 MGM classic THE WIZARD OF OZ and wrote lyrics for its well-known songs, including “We’re Off to See the Wizard,” “Ding, Dong, the Witch is Dead,” “If I Only Had a Brain,” and “Over the Rainbow.” Blacklisted in Hollywood following World War II because of his political views, Harburg turned to Broadway in 1947. 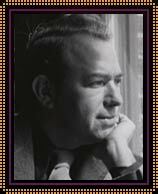 Here he co-wrote the libretto and was lyricist for “Finian’s Rainbow” and also worked on the Broadway show “Flahooley.” Over the years Harburg worked with such musical legends as Ira Gershwin, Jerome Kern, John Green, Vernon Duke, Burton Lane, and Arthur Schwartz. He was teamed with composer Harold Arlen for the 1939 MGM classic THE WIZARD OF OZ. 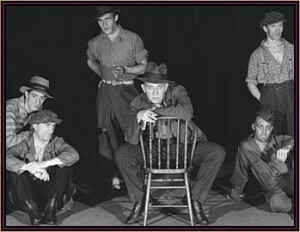 Harburg's song "Brother, Can You Spare a Dime" was featured in the musical "Americana." Harburg, who appeared on the CBS television show 60 MINUTES on March 5, 1978, was co-author of the librettos for “Jamaica” and “The Happiest Girl in the World.” He also wrote two books of poetry entitled RHYMES FOR THE IRREVERENT and AT THIS POINT IN RHYME: E. Y. HARBURG’S POEMS.